Just as well he is wearing his helmet eh! 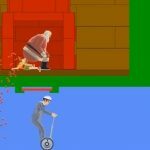 Well our weekly fix of Happy Wheels madness as put together by various obsessives across the web, a little late with this one so apologies. This week the rending and wrenching continues unabated as Markiplier hits his Happy Wheels Highlights number 74 with over 800K views and Dashie is back with a truly impossible level…watch to find out. Oh and one from Toby Games and Annoying Orange. 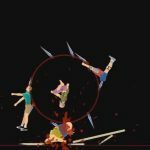 We have to say there are some pretty weird non-English Happy Wheels videos out there, some are very funny and some are just well disturbing! As ever you can play a free demo of happy wheels or the full game on the official site. Annoying Orange – HAPPY WHEELS: POGO TIME!